Every so often a film comes out that takes you completely by surprised. 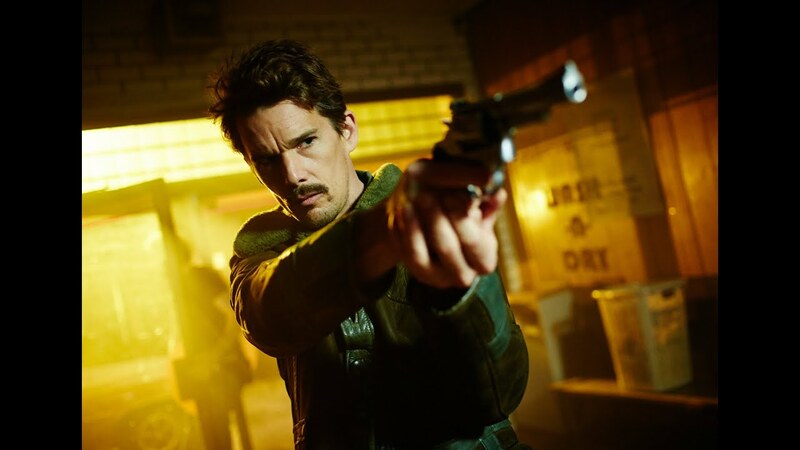 I wasn’t expecting too much from Predestination, the new sci-fi time travelling film from the Spierig Brothers, the German guys who gave us Daywalkers, yet when it finished, I was taken aback. This is not only an excellent film in the genre but one that will stay with you long after the screen has gone blank. A Temporal agent is sent out for one last assignment to stop a crazed bomber from killing thousands of people in the past. As a disguise, he pretends to be a bar tender in New York in 1970. A strange man walks in and starts to relay an incredible story about his life that will soon affect the outcome of the bomber and their own lives. It’s hard to write this review without giving anything away because the joy of watching this film is to know as little as possible. The Spierig Brothers have managed to carve out a story so bizarre, so head-rushingly complex that to even mention a single particular moment would ruin the multitudes of twists and turns this film has to offer. Unlike the other time travelling film out this week, Project Almanac, this is a film you have to soak in every single piece of information. Miss something and you will be lost forever. The cleverness of the idea becomes increasingly shocking and surprising in equal measures. You even find yourself, for the first half of the film, wondering if you are actually watching a time travelling film. Yet it’s important to listen intensely to the stranger’s story as it is pivotal for all that comes after. Once we have established the ground rules of the story, the film then goes into overdrive as the Temporal Agent continues his hunt for the bomber, while at the same time trying to right the wrongs for the stranger, which lead to events that will have your jaw dropping to the floor. This is a masterpiece of misdirection, where nothing, and I mean nothing, is as it seems. Like other time travelling films before it, it does throw up the occasional question as to when did it all start and there are moments when you might see the odd hole appear but on the whole, this is an assured script that looks impressive, even for a low-budget film, that will grip from start to finish. For a film that doesn’t have any weight behind it, distribution wise, this has three outstanding performances. Noah Taylor is quietly mysterious as Mr Robertson, a recruiter for a new space programme. He doesn’t have to do too much, yet his presence is felt throughout. Ethan Hawke as the agent, proves what an underrated force he is. Managing to jump from mainstream cinema to independent without losing any of his star quality, he conveys a charm and friendliness with that of a man full of dark secrets and hidden thoughts, allowing the shocking denouement to work. 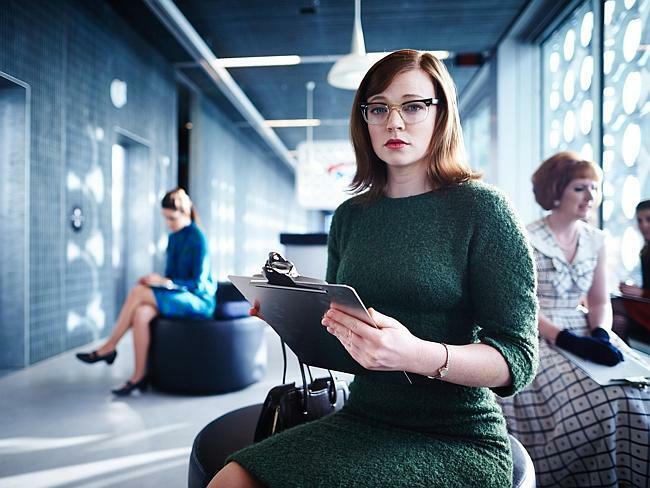 Then there’s newcomer Sarah Snook. With a look that crosses Jodie Foster and Emma Stone, she gives the breakthrough performance here. Creating two characters that are so different yet are the same, it’s full of depth and intelligence and I would be very surprised if we don’t see her in a bigger budget movie in the not too distant future. Trust me when I say, and I don’t say it likely: tour de force. Predestination has the wit of a Terry Gilliam, the messing with your head of Looper and the fun of all those other time travelling movies. What is a shame is that this hasn’t been given a larger release and the backing like Project Almanac. Instead it is hidden in a couple of cinemas and On Demand. My advice is to track this film down. It will not only surprise you but will leaving you wondering if you have witnessed one of the best time travelling movies around. For me, it’s up there with 12 Monkeys and Timecrimes. A future cult classic has been born.